With up to 12 hours of fresh breath, gain the confidence to get together with your friends for a night of games, trivia and ultimate barkada bonding with the #CLOSEUPQuizNight! 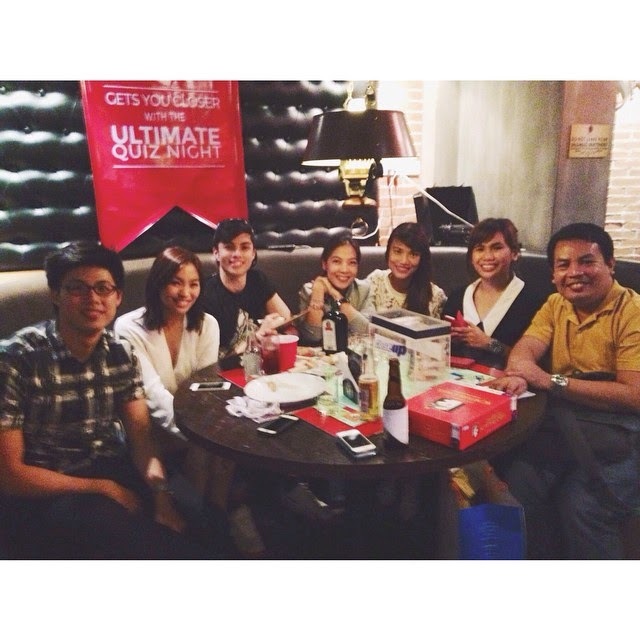 I love how Closeup always find ways to bring people closer together, just like last November 25, 2014 when they hosted their first ever Ultimate Quiz Night! The night saw camaraderie and intense competition, as teams answered challenging trivia questions, and vied for the grand prize – barkada goodies amounting to a hundred thousand pesos. So bongga! 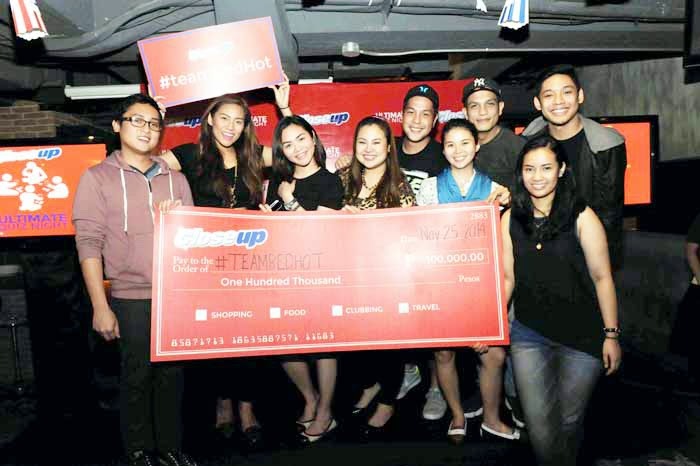 Celebrity barkadas composed of Radio DJs, Manila’s top fashion and beauty bloggers, and other close friends of Closeup were invited to join in the fun and compete against other teams. Barkada team names were coined after Closeup buzzwords such as #TeamSummerSolstice, #TeamForeverSummer, #TeamIcyWhite, #TeamFresh #TeamRedHot, #TeamFireFreeze, and #TeamDeepAction. We had a lot of fun answering different trivias! It's a nice mix of questions from personalities to music to movies to general info. Super fun. Everyone was so competitive! Haha. After three rounds of intense trivia competition, one team was crowned the first ever Closeup Ultimate Quiz Night champion. Garnering a total of 45 points, #TeamRedHot, composed of Magic 89.9, RX 93.1 and 99.5 Play FM radio DJs, were declared champions, followed by first and second runners-up #TeamSummerSolstice and #TeamFireFreeze, respectively. Some of my fave bloggers: Michelle, Marj, Jackie & Rowena! Night, like www.facebook.com/closeupph and follow @closeupph on Twitter and Instagram.